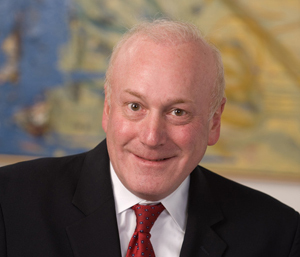 The fact that many of Doug Hirsch’s clients have entrusted him with their real estate leasing needs for more than 30 years is the true measure of his ability to negotiate effectively and efficiently. He is able to get the deal done while protecting their interests. Clients often cite his professionalism and calm demeanor in dealing with opposing parties as reasons why they continue bringing their matters to him, and encourage others to do the same. Doug has a reputation for being able to explain complicated lease provisions and how they interact in real life situations in plain English instead of legalese. Doug’s practice focuses on office, retail and industrial leasing as well as complex real estate and commercial transactions. He has extensive experience in land acquisitions, ground leases, sale and leaseback transactions and construction contracts, as well as management and brokerage agreements. His proficiency and professionalism have been acknowledged by being appointed to lead the Leasing Practice Group at Shulman Rogers, as well as serve on the firm’s Board of Directors. Doug also leads educational seminars for the real estate broker community. Represented a national law firm in connection with new lease for 69,000 square feet of space in Washington, D.C. Represented tenant in leasing 320,000 square feet of space in Washington, D.C.